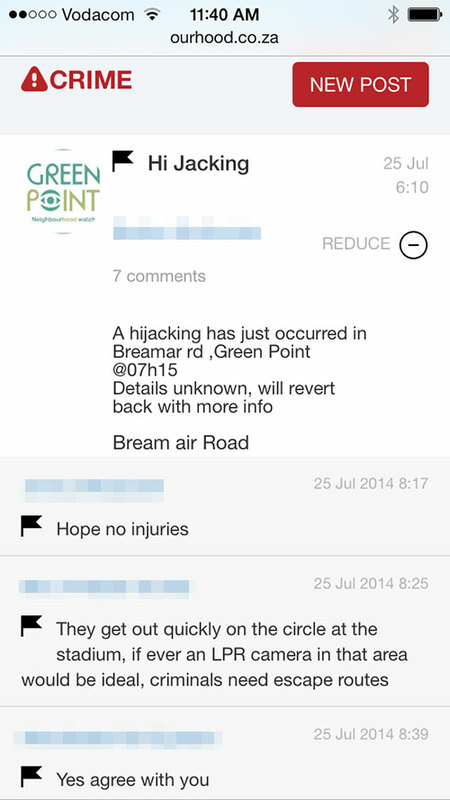 There was a hijacking this morning in Green Point between 7am and 8am. By the time Green Point residents got to work, they all knew about it. This is how. 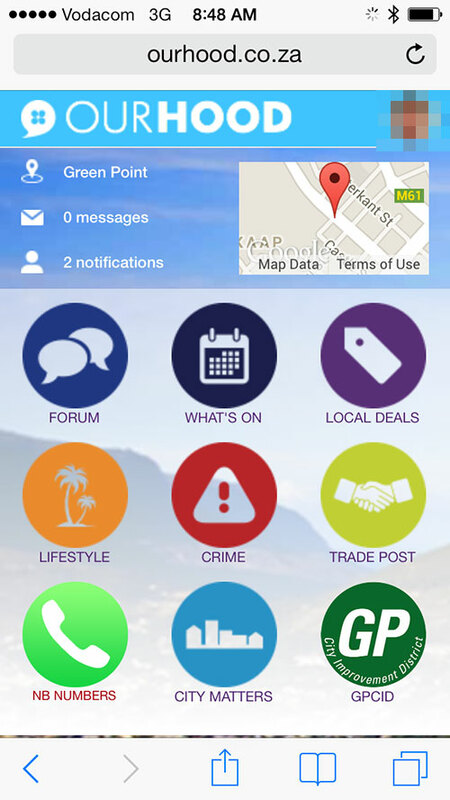 And when we say ‘the whole of Green Point,’ we’re referring to all the residents who have joined the Green Point hood within OurHood, South Africa’s fastest growing private social network for neighbourhoods. Here is the sequence of events this morning. 1) When a crime is posted in OurHood, all users within a certain neighbourhood, are notified by SMS and email (this setting can be toggled on/off for each user). Here is the email sent out this morning. 2) Clicking on the link loads up OuHood on the user’s computer or smartphone. 3) Clicking on the CRIME icon brings up the crime which was just posted. And there you have it – a very simple, yet effective way of bringing the community together. OurHood is currently available in over 50 neighbourhoods across South Africa. Each neighbourhood is private and secure and only allows residents in that neighbourhood to join.